﻿ Best Price on Arecibo Oceanfront Paradise in Arecibo + Reviews! 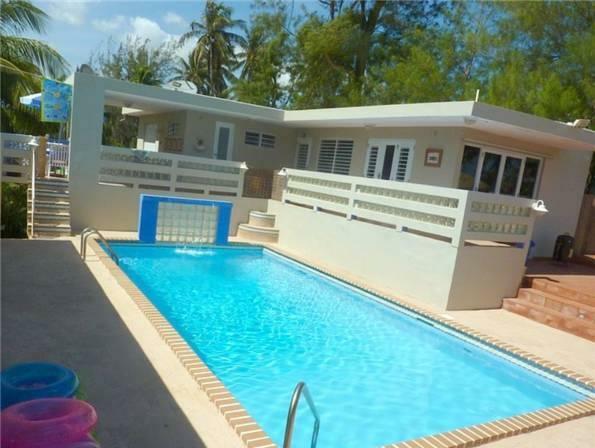 Offering an outdoor pool and a private beach area, Arecibo Oceanfront Paradise is located in Jarealito. Free WiFi access is available in this holiday home. The property offers free parking. The accommodation will provide you with a TV and air conditioning. There is a full kitchen with a dishwasher and an oven. You can enjoy sea view and pool view from all the rooms. At Arecibo Oceanfront Paradise you will find a garden, barbecue facilities and a terrace. Other facilities offered at the property include laundry facilities. This holiday home is 66 km from Luis Munoz Marin International Airport.